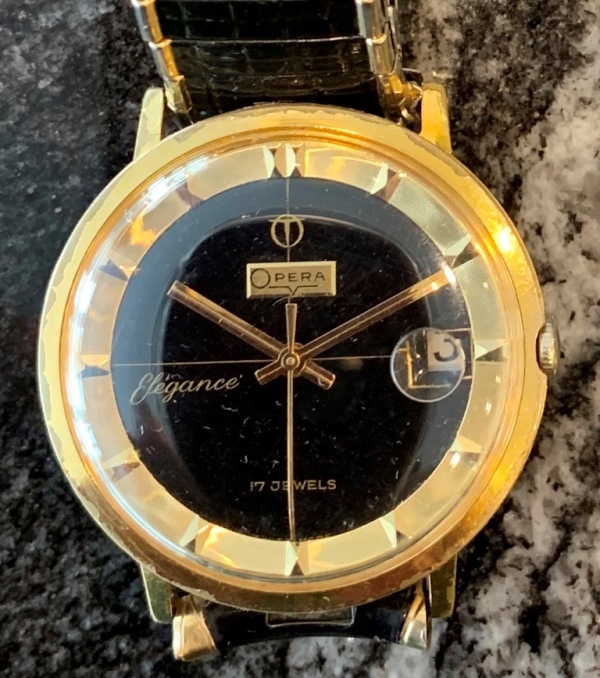 Great looking, black dial Opera Elegance circa 60’s vintage automatic with date on a well matched black stretch bracelet. This watch has been serviced and is ready to ship. Photos are magnified and show details not seen by naked eye, the case measures 34 mm across (not including crown) x 37 mm lug to lug and is fit as found with original bracelet.